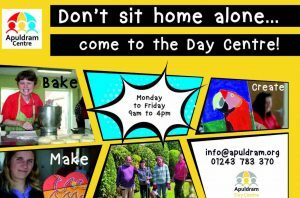 The Apuldram Centre is an independent registered charity, working to support adults with learning disabilities, and has delivered services in Chichester and surrounding area for 30 years. 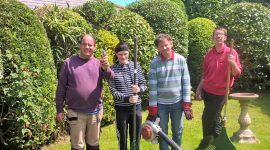 Our services include a dedicated Day Centre offering meaningful and enterprising daytime occupational activities such as: horticultural, both on and off site; woodwork; cookery and arts & crafts. We also support a number of people in the Chichester area to live independently in their own tenancies. 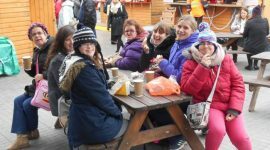 We run a community outreach service, Hub Club, three times a week in central Chichester. 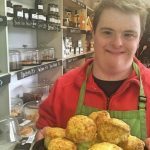 Maximise independence, dignity, choice and achievement, leading towards an independent lifestyle. 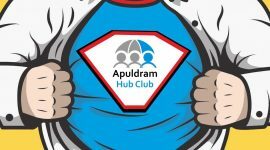 The Apuldram Centre was established at Common Farm in 1989 and is a Registered Charity. 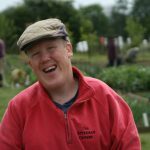 Inaugural founders, many of whom were parents of adults with learning disabilities, were committed to offering a meaningful experience to working-age adults, primarily based around horticulture activities. Many others have played their part and continue to do so, in Apuldram’s history, no matter how large or small their contribution. The main site was originally a dairy farm and leased from West Sussex County Council. 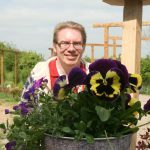 The site is now owned and managed by the charity; redevelopment of the original farm buildings has created a thriving environment for the Day Centre, main offices, public access shop and café, along with supported living accommodation. 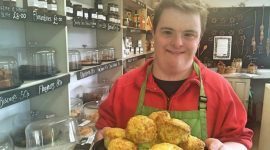 Over the years we have continued to evolve to ensure that we are responsive to the needs of the people that we support; developing Supported Living and Community services. 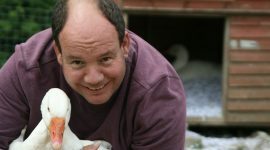 Some of the work that we do is funded under contract with West Sussex County Council (adult social care), enabling our beneficiaries to access a varied range of activities and to live independent lives. Our other charitable incomes enable us to sustain, grow and redevelop our existing infrastructure, purchase specialist equipment that enhances the experiences of our beneficiaries, plan for the future and respond to the needs of the people whom we support. 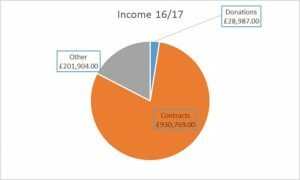 80% of our current income is from contracts; we are ambitious in our future aspirations and as such are reliant on empathetic donors, fundraisers and other initiatives to support the continuous improvements needed to ensure that our service remains relevant, fit for purpose, sustainable and person centred.